My 6-year-old daughter received a birthday invitation for a skating party at Hot Skates Roller Skating Center in Avon, Indiana. She was very excited, but then I saw a look of panic in her eyes as she stated she&apos;s never been roller skating. Then it was my turn to panic. My feet haven&apos;t seen a pair of roller skates since 1990, and I have to teach her how to skate! We decided a trip to Hot Skates before the party was in order, so she could practice. Later that evening, my leg muscles ached. I had forgotten that roller skating is a great workout! The best part? You are having so much fun that you don&apos;t realize you are exercising! So it got me to thinking that Hendricks County, Indiana, offers several options for healthy, indoor activities that are fun for the entire family. Here are three of my favorites to consider. Located at 241 Casco Drive in Avon, Hot Skates offers public skate times Tuesdays, Fridays, Saturdays and Sundays. Times vary depending on the day. 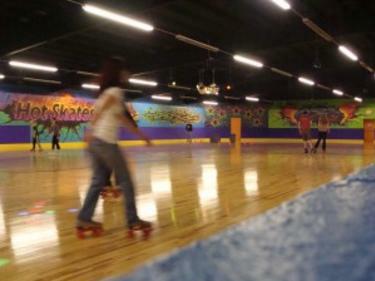 Admission prices usually range from $7-$10 plus a $4 skate rental fee. If your child is a first time skater or beginner, renting a "walker" is an option. It helps with learning balance without falling constantly. I was worried about balance myself, but it didn&apos;t take long to acclimate to the skates. Flashing lights and family-friendly music encompass the ambiance of the rink. When its time for a break, take advantage of the TVs, free wifi, arcade and well-stocked snack bar. Not only is roller skating a fun, family-friendly activity, it also is a low-impact aerobic exercise that involves a wide variety of muscle groups. Click here for specific skate times and admission prices. Jumping on trampolines is another fun activity with healthy benefits, and there is no better place to do it than Sky Zone Indoor Trampoline Park, 851 S. Columbia Road, Plainfield. This facility has been voted the No. 1 "out-of-the-box" workout, and for good reason. My daughter and I were excited to show off our jumping skills and exercise at the same time. Due to our time constraints, we chose the 60-minute option. After 10 minutes, I was sweating and almost out of breath. I knew then that it was definitely going to be a workout. If you want to stay longer than 60 minutes, other options include 90 and 120 minutes. Open jump is offered at various times Tuesday-Sunday. Open Jump (ages 5 and up only) consists of free jumping on the main court, foam zone (freestyle jumping into foam), ultimate dodgeball, skyladder, warped wall, and SkySlam (dunking a basketball). These "zones" are completely separate from each other. An employee is stationed by each zone to ensure the safety of all the participants. Click here for a complete schedule, pricing and current promotions, which include discounted days/times. 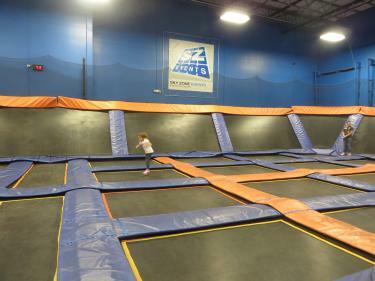 Sky Zone offers a few programs throughout the week. Toddler Time (children under 5) is available Fridays from 11 a.m. to noon and Saturdays from 9-10 a.m. Parents are allowed to jump but older siblings cannot. Sensory Friendly Time is a great way for those with special needs to enjoy the facility with the music volume turned down low. This takes place the first Wednesday of the month from 4-5 p.m.
Glow occurs every Friday and Saturday night. Sky Zone turns into a jumping dance club complete with lasers, black lights and loud music. Bowling, especially on a regular basis, is beneficial to your body. Walking back and forth constantly from the lane to the scoring area tones your legs while burning calories. Lifting and swinging the ball down the lane tones the upper body. One reason bowling is such a popular sport is because people of all ages can participate. A family bowling night seems like an activity that everyone will enjoy! Brownsburg Bowl, 18 Whittington Drive, Brownsburg, offers 28 bowling lanes, synthetic lanes and approaches and Brunswick Automatic Scoring. They are open every day of the week. Prices (per person per game) vary according to age group (12 and under or adult), day of the week, time of day and holidays. 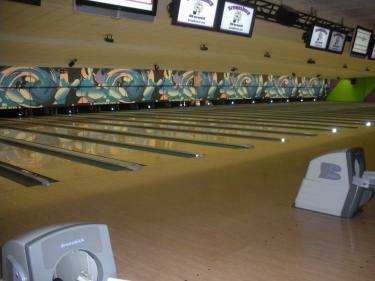 Brownsburg Bowl also offers a snack bar, arcade and pool tables. For those of you with older children, you may want to check out Kozmic Rock-n-Bowl. It takes place Fridays and Saturdays from 10 p.m.-1 a.m. (2-hour time limit) and costs $14 per person including shoes. Fun atmosphere and great times will be had. Click here for more information on hours and pricing. Don&apos;t just sit back and watch your child participate in these activities. Be active, join them! Your body will thank you!